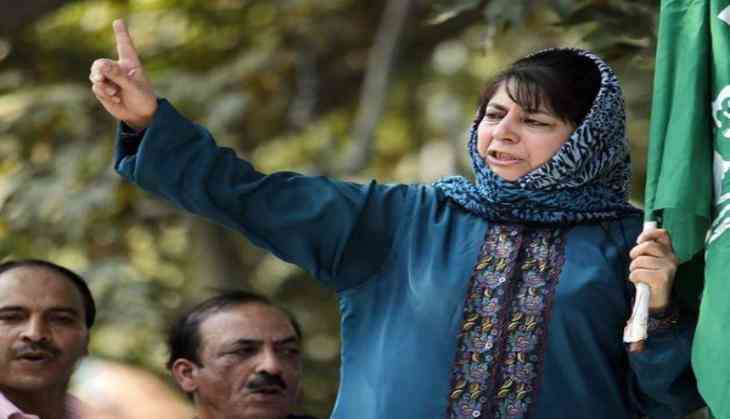 Jammu and Kashmir Chief Minister Mehbooba Mufti on Monday asserted that the youth who pelt stones at security forces are in distress and the government needs to understand their problems. "We have to focus on our children (stone-pelters) because they are in pain, they are in distress. I feel that the need is to engage them, to understand their problems and I am happy that Tasaduq Hussain is trying to play a part in that. The army and security forces have to show restraint and they are not showing restraint at all," Mehbooba told reporters. Mehbooba further stated that unemployment and restlessness of the youth is the biggest challenge for her government. "The youth picking up stones is a big issue. The biggest challenge that my government is currently facing is the youth, their unemployment and the biggest of all the restlessness in their minds. We did not create this in the last one or two years, this restlessness has been there for many years now. Our strength lies in democracy and democracy is the battle of ideas. Any problem its solution lies only in talks and dialogue," she added. Earlier this week, ahead of the by-polls for Anantnag parliamentary seat, the Jammu and Kashmir Police arrested 18 persons on stone pelting charges. The police have launched a massive crackdown against the youth in South Kashmir by arresting at least 135 youth in the past two weeks. The arrested youth were wanted for disrupting law and order in the district by resorting to violence, the police officials said. Though the situation has improved gradually after the five-month unrest in 2016, South Kashmir remains charged as there are gun battles between militants and security forces and stone-pelting protests near encounter sites have become a routine in the last few months.